Your friend just called and will be by in a half an hour. She needs to talk. You need to listen. Is now a good time for a tea party? Absolutely! If you follow these simple steps. 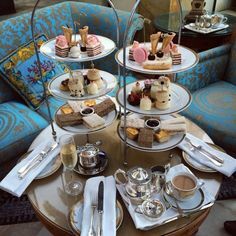 Afternoon tea does not need to be only for special occasions. You don’t always have to dress up. Yes, it’s more work than serving chips and soda, but with a little practice and some key items on hand, you can be prepared to serve afternoon tea easily and quickly, as I did this afternoon. Preheated the oven and popped in some pre-made scones straight from the freezer. Filled my teakettle with filtered water and set it on high to boil. Chose the tea I wanted to serve (Mim Darjeeling) and filled my tea sac with it. Set the table with two teacups and spoons, tea plates, already ironed tea-sized cloth napkins, and a filled milk and sugar set. All these items live in my kitchen cupboards so I can easily grab them. I picked out my teapot. Since I wanted the matching warmer, I decided on the smaller pot and filled the red carafe you see in the picture with more brew. Since this was casual, I just refilled the teapot with the tea from the carafe when we ran out. Kept our brew nice and hot! I pulled the scones out of the oven, placed four on a salad-size plate, remembered I had a few pieces of toffee stashed away and added them, and cut up one beautiful in-season red pear. I quickly bathed the slices in a little lemon water so they wouldn’t turn brown and added the plate of goodies to the table. What didn’t I do? I didn’t scurry around trying to figure out what to make. I knew I had prepared my tea party pantry before hand and I reached for scones from my freezer. Prepare before hand and a drop in tea party is no problem! 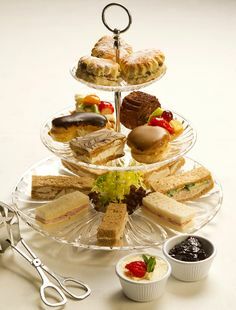 For more information about serving afternoon tea quickly, be sure to see my article, How to Build Your Tea Party Pantry. What do you do? Share your hints in the comment area! Oops! Did you forget spoons? Or can you just not see them? Could it be something to go with the scones? Like: Creme Fraiche and Lemon Curd, and perhaps a knife? Hmm, I don’t see any utensils for serving, eating, or stirring (the pics a bit small–I do see a spoon for the sugar). Also, I’d include some butter, creme fraiche (as mentioned above), and jam or marmalade for the scones. Some sort of place setting or arrangement to fill out the arrangement would be nice. I know it is casual but seems to be missing the additional highlights. What about a small favor? when will we know YOUR answer??? You forgot the spoons and people. Wish I could be in one of those chairs. Looks so cozy and intimate. Flowers or centerpiece and little sandwiches. You know, I don’t see any water glasses there, either. You make this sound so easy. Today I attended a friend’s impromptu tea party. She made it seem easy too with freshly made cinnamon scone and black current tea. Yummy. My guesses are finger sandwiches, another choice of tea, and favors. I don’t know though, would you give a favor if there are only 2 of you? I look forward to seeing what the real answer is. Yes, I forgot to mention, I did enjoy the blondie brownies. My grandma used to make something similar. Thanks for the recipe. I’m new at this, but my guess is spoons and some fresh flowers.